In my work as a historian and history writer/reporter, I have written for newspapers, magazines, personal blogs and I have also published two books. I have become, what I would like to call - "a voice for those who no longer can defend themselves." Since those dearly departed can no longer shed light on their real stories and tell us themselves, it is up to the historians, who are basically history detectives, to do the work and use some "elbow grease" to dig for the answers and tell the stories for those who are no longer here. I have become strongly attached to many of the stories of those people that I have investigated over the years. In many cases, I set the facts straight in stories that may have been gossiped about for so many years, that the tales have become a well spun tapestry of fiction rather than fact. In other cases, I have written about people who have never been written about before, finally giving their stories a chance to be told, so they are not forgotten. 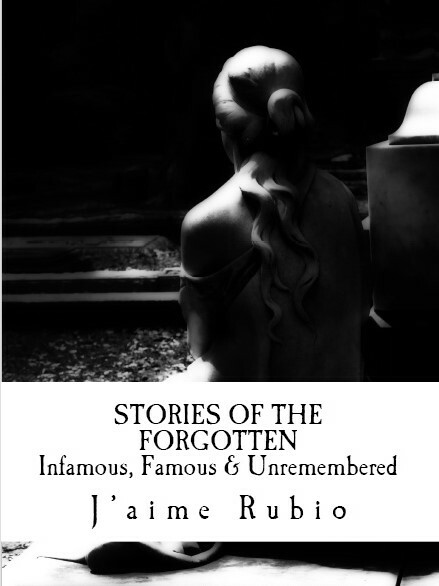 I am a strong believer that no one should ever be forgotten, and that everyone deserves for their story to be told. In an earlier blog that I posted nearly two years ago, I mentioned a movie "Preston Castle," (aka "The Haunting at Preston Castle,") that was filmed at the historic Preston Castle in Ione, California. Being that I actually researched the history of the Preston School of Industry which Preston Castle was constructed for, and I published a book on its true history and some of the forgotten events that took places there, I was very upset to hear that the movie promoted itself as "based on true events" when in fact there was nothing "real" about the film or their so-called historical facts. In fact, the information they provided in the movie, only made it worse for people to separate fact from fiction in regards to the history of the school, due to the many errors and history revisionism in the film. What upset me even more than the fact they used Preston's name in their film and made up false history, they used the name of the head housekeeper (Anna Corbin) who was murdered there and added additional erroneous information to the movie in regards to Anna. There was no ward at Preston named Bobby Wells, and he did not kill Anna Corbin. Just as the Ghost Adventures episode that made allegations that Anna's spirit was there and would haunt the castle and even allegedly "possessed" the lead investigator on the show, this movie also disrespected Anna's memory and personal character. It just seems that there is no end to the lengths in which Hollywood, or people in general, will go to make a buck these days. So many times they take the story of a real person and desecrate their memory, completely disrespecting the person, knowing all too well that the person or persons they are attacking cannot speak up about it. As upset as I was about Hollywood ruining Anna's memory, I have become just as upset, if not more so, about the character of Bathsheba Sherman in the movie, "The Conjuring." WHAT DID THE MOVIE CLAIM? The movie, "The Conjuring," is said to be "based on a true story" which was documented in the case files of Ed and Lorraine Warren, although Andrea Perron, the daughter of the family the movie is depicting, has written three books on her experience in the home as well. In the movie, Bathsheba Sherman was said to have been a witch who worshiped the Devil, sacrificed her baby to Satan and then hung herself from the tree in the back yard. In the movie, her spirit allegedly terrorizes all who live in the home, also causing all the different tenants over the years to kill their own children and allegedly possessing Carolyn Perron. None of the information in regards to the history of Bathsheba is true. History is history, and the facts are the facts. The stated history that has been thrown around over the last 40 years is not real, and it appears to me that the tales have been "conjured" from someone's overactive imagination rather than uncovered from actual historic files or archives as claimed. I am not saying the home isn't haunted, honestly I don't know, and I don't care about that. I care about facts and historical evidence, and there is not one single piece of evidence to corroborate with the Perron family or Lorraine Warren's allegations as to the history of Bathsheba Sherman, the property or the many unexplained deaths or "fatal events" they claim took place on the property. 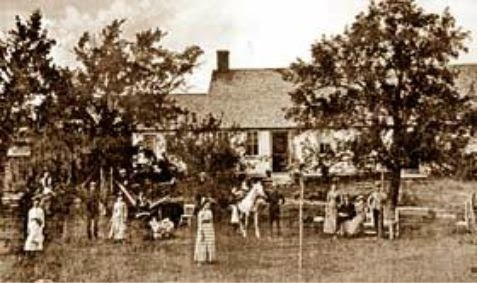 This blog is to share with the world the "TRUE FACTS" regarding the history of Bathsheba Sherman and a few other interesting facts about Burrillville, Rhode Island's history. 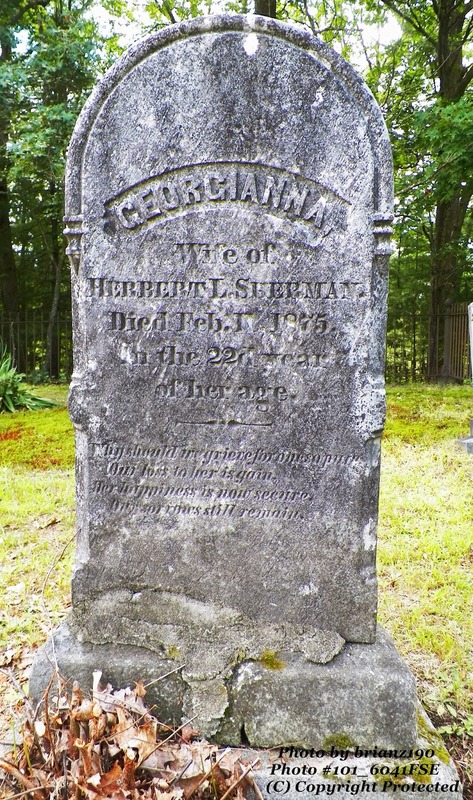 I have been spending a lot of time researching the history of Burrillville and any historic information regarding the life of Bathsheba Sherman. I have found some amazing facts that will totally conflict with the alleged history that Lorraine Warren and Carolyn Perron claim to have found. Bathsheba Sherman was born in 1812 to parents, Ephraim Thayer and Hannah Taft. Ephraim's first wife was named Bathsheba Pain, so it seems that his daughter was named after his first wife. She was NOT an Arnold as Andrea Perron claims in her book, she was a Thayer (and a Taft). Bathsheba never worked on the property of the Old Arnold Estate, nor did she care for a child that died on the property. Bathsheba married rather late in her life according to the time period, as she was in her early thirties when she took her wedding vows to Judson Sherman. According to my research, Bathsheba had four children, but three of them died very young. Given the time period, this is nothing abnormal, as many died from childhood diseases back then. Their only surviving son, Herbert Leander Sherman was born in March of 1849. Herbert married for a second time, to a Miss Anna Jane Phair on December 4, 1880. The pair had two sons, William (born 1881) an Fred (born in 1883). Sadly, William died in 1900 at the age of 9. For the record, there have never been any sort of records or historic documentation that I could locate in regards to any child of Bathsheba's having died from a knitting needle to the head, being sacrificed to Satan, or any sort of scandal in the community placing blame on her. There are no records of any strange deaths or alleged wrongdoing of any type either. 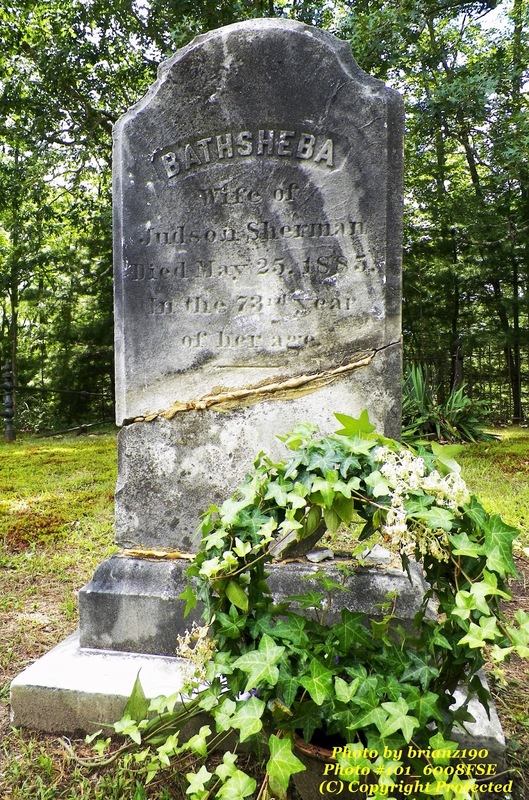 The three children of Bathsheba and Judson Sherman who died are buried right across from Bathsheba and Judson in the Harrisville historic cemetery. Do you really think that the townspeople would have allowed Bathsheba to be buried in the cemetery next to her husband and children if they thought that she was a witch? Do you think that the church would have given her a funeral or even mentioned her in the obituary of the newspaper had she been so hated in the community? From my research in various stories, it is not uncommon that when someone died, that any sort of scandalous events or even rumors that took place in one's life would be mentioned in their obituary, that was sort of expected. If she had committed such atrocities you would think that it would have been mentioned, but there was none. If you research the property maps of the area, the 1895 map shows the land and the properties broken up by each family that owned all the land in the area. 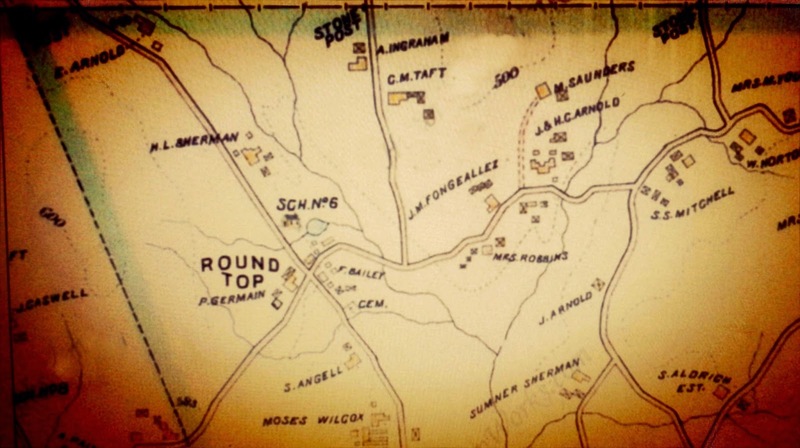 The names Sherman, Arnold, Taft, Mowry, Germain, Aldrich and others can be seen all over the map. You see, in that small town area, most of these people were related to one another. The town was also very Christian, having established not one, but several churches in it's early years: The Freewill Baptist, First Baptist, Episcopal, Berean Baptist and the Laurel Hill Methodist churches. This close-knit community where many were often related to one another, was full of God fearing people and the Shermans were one of the larger families in the area. In fact, Sherman Farm Road still exists today and is one of the larger roads that goes through town. When Bathsheba died on May 25, 1885, the Rev. A.H. Granger, a Baptist minister, gave the eulogy and even the newspapers mentioned her passing, which by the way was caused from paralysis due to a stroke. There was never a note on her death certificate making any sort of claims that she turned to stone. As far as the respectful obituary in the newspaper, that is not something you would think a Christian community would do for someone they suspected of being a witch that murdered and sacrificed her own children to the Devil. No, Bathsheba was not a witch, nor was she a murderer and it is very shameful that anyone would say such things, which constitutes slander. When she died, she was interred next to Judson who had preceded Bathsheba in death several years earlier. She had remarried, this time to Benjamin Green, although when she was buried she was put with her first husband and children in the cemetery at Harrisville. 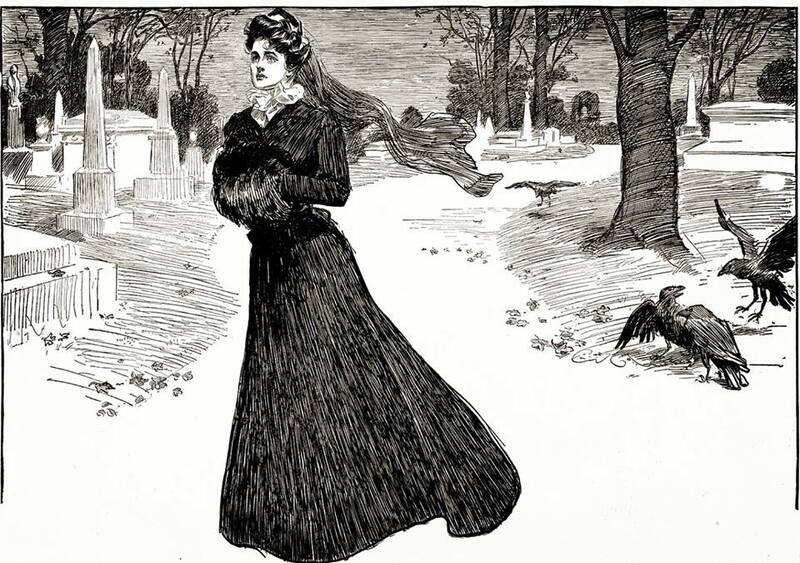 Being buried with your first wife or first husband was a common practice and still continues to this day in many cemeteries. In her will, Bathsheba was adamant that along with giving her son a small amount of money, that the property would be used to educate her grandson and that when he reached the age of 21, and that the balance of the monies left would be turned over to him. It appears as if she had her will drawn up before the birth of the second grandson. Does that sound like a mean or wicked person to you? A grandmother who wanted her grandchild to have the best education and inherit her money? One thing I would like to clarify, if you hadn't realized this yet, the Sherman property is NOT the Arnold Estate that the Perron family purchased on Round Top Road. Bathsheba never lived on the Old Arnold Estate. The Sherman property, if you look at the map to the right, was southeast of the Arnold Estate. WERE THERE ANY SUICIDES OR MURDERS AT THE OLD ARNOLD ESTATE? Unfortunately, I don't believe so as there is NO evidence to support those allegations whatsoever. The information on the deaths that Andrea Perron's mother, Carolyn claims to have uncovered did not happen on the property at all. There has never been any documentation proving that any sort of murders, suicides, hangings or drownings took place on the property. Some of the people that have been mentioned as having died on the property, such as John Arnold or even his wife Susan who hanged herself, didn't actually happen on the property. Susan's death, happened in 1866 at their home. According to the newspaper clippings, Susan had been planning the act for some time. When her husband was visiting with a neighbor, she went upstairs, locked herself inside the room and hanged herself from the hook in the wardrobe by a thin cord. The article also mentions that she had a loaded gun, a knife and even a vial of mercury. What caused her to take her own life? Who knows. But the point is that none of those events occurred at the Arnold Estate on Round Top Road. Other allegations that have been mentioned by Lorraine Warren, was the story of a girl who was murdered in the pantry of the Farmhouse named Prudence Arnold. The facts are that she was killed by a man known as William Knowlton, but it was not on the property either. The facts are that Prudence died at the Anan Richardson House, just north of the Massachusetts-Rhode Island line which is on Route 7. Prudence did not die at the Arnold Estate in Burrillville, Rhode Island. Edwin Arnold, the owner of the Arnold Estate, froze to death while walking home on Sherman Farm Road in the cold winter. He was found by a hunter on Smith Aldrich's farm. If you look at the old map again you will see that the Aldrich farm was nowhere near the Arnold Estate as it is in the lower right corner, and the Arnold Estate is in the upper left corner. It was said that his body wasn't found for nearly three months, but again, it was not at the house, nor was it a murder or suicide. The other was a man by the name of Jarvis Smith, who fell asleep in a barn and died allegedly somewhere on the property. It was stated he came back from the bar, more than likely he was intoxicated and fell asleep and succumbed to the elements. Whether other family members over the 8 generations of people who have lived in the home have died from sickness, natural causes or old age, that is an entirely different story. The odds are that people have died in the home at some point, but there are no documents of murder, suicide or drownings at the home or on the property. OTHER RANDOM STORIES-- COULD THERE BE A LINK? To the west, going towards the edge of the state, there is a private cemetery in Buck Hill that holds four graves. Many in the area claim it is the grave of a woman named Laura Sherman. Again, this is NOT on the Arnold Estate or the Sherman Farm Estate either. During my research of the history of Burrillville, I found the story of another interesting tale about the Old Paul Place or "The Old Paul House." It was said to be in ruins even at the time the book "Burrillville: As It Was, As It Is" was written in 1856. The home, or "castle" as it was referred to as, was said to have been originally built and lived in by the Ballou family. Years later, Paul Smith and his family took up residence on the property.
" Not far from the center of the town, is a house, fast crumbling down, which has long been known as the above title ("Old Paul Place"). It was originally the residence of an ancient family of Ballous, a common name in this town. A little to the east of the old castle are four graves where they were buried. It was afterward occupied by Paul Smith. The old man met with many misfortunes which gives the place a romantic interest. His wife was insane for many years. She was confined in a lonely room, and with none of the appliances with which modern science and philanthropy soothe and improve the stricken mind, she sank into hopeless idiocy. One of the sons, an athletic young man, was engaged in a foot race in Slatersville, when he burst a blood-vessel and died in a short time. Could this story have inspired part of the idea of the Bathsheba tale? Quite possibly. Not only does it speak of the mistress of the house becoming insane, but it speaks of the fact that many in the area were easily frightened by old, scary houses. This old tale could have been passed down through the years and perhaps parts of that, mixed with the old tales of the four Sherman graves on Buck Hill, those details could have made for one big ghost story. Norma Sutcliffe, the owner of the home on Round Top Road, has been living in the home for nearly 30 years. I found a video of Andrea Perron and Norma where they speak of the haunting of the house, although at the time Norma seemed unaware of a detailed history of Bathsheba. She comes across as if she agrees that the home is haunted, and that she had experienced paranormal incidences, but later she posted her own video on youtube, claiming that the home is not haunted and stating the research she has done and documentation to back up her argument about the history of the home. Why she went along with the "haunted" aspect of the house in the beginning and then back pedaled her story, we may never know. Perhaps, once she saw the attention the home was getting, she regretted speaking about it and wanted her privacy back. I don't know, and honestly, I don't care. Nevertheless, that doesn't change documented evidence that disproves the "witch" theory. Like I said, this blog isn't to investigate whether this 300 year old home is haunted or not, it's about the history. I have to give Norma credit for searching for the history of the home, and showing her research on Bathsheba to set the story straight with documented facts. Perhaps the Perrons experienced something paranormal at that home. We cannot say for sure, because only they know the truth to that. I have had my own frightening experiences in my lifetime, and I know many people who have experienced such terrifying experiences of living in a haunted home. This blog is to prove the true history of Bathsheba Sherman and set the record straight about her story and the stories of alleged deaths and suicides on the property that have been attached to the home. I am not interested in the paranormal aspect of the home in any way. The home could be haunted, it is very old, but the Perron family could have also brought something with them when they moved in, or picked up an item that was "attached" to a bad spirit. Either way, again, I am not here to get into all that. I am here to state the facts on the history of the property, and the history of Bathsheba. When examining this story there comes a point where you must use common sense and draw your conclusions based on factual evidence, not just the history that someone hands to you and says is factual. You have to verify that the information they are giving you is in fact, real. So I say to you, check this information out, do your own research on the story, search for the documents, the evidence, find the truth. Bathsheba was NOT a witch. There is nothing documented that makes any claim of her being a witch. Bathsheba was NOT a baby murderer. Again, no such allegations or records claiming such a thing exists. Bathsheba DID NOT live on the property at any time. Records do exist that prove she never lived on the property. Bathsheba DID NOT hang herself from tree, in a barn, in an attic...anywhere! Records do exist that prove that she did not commit suicide, but instead died of paralysis from a stroke at the age of 73. Anyone who speaks badly of this woman, a person who cannot defend herself, should be ashamed of themselves. These fabricated stories are the reason Bathsheba's headstone has been destroyed by vandals who now believe she is an evil entity possessing mothers to kill their children, and terrorizing the house. Most of the blame also should fall on the shoulders of those who blame all these paranormal experiences on Bathsheba in the first place, and any and all who continue to perpetuate the erroneous information that continues to defame and slander Bathsheba's name. She was just a regular person. She never even lived on the property, yet she will forever be tied to the false history of the home in urban legend and folklore that made a lot of money to those telling the story. How would you like it if your great grandmother's story was randomly picked from an old directory and a huge elaborate and slanderous story was conjured up to ruin your family name and disrespect her memory? Well that is exactly what happened to Bathsheba. How do you think her family must feel? Stop and think about that for a second and really let that sink in. What if a hundred years from now, someone decides to write about you, and makes you out to be an evil spirit possessing people, someone who committed atrocities against your own children...would you like that? I don't think so. What has been done to Bathsheba and her family is wrong and it must be fixed. That is why I am writing this blog. I know that I will not reach everyone out there, but I know that my blog gets a lot of traffic, so I know it will make its rounds through the internet and Bathsheba's name shall be vindicated. For all of those people who will dismiss this article and blindly believe the information in the movie, I say to you, show me ONE piece of evidence that proves she was this horrible person, that she was a witch. You can't, because no such evidence exists. Some people might enjoy a scary story, but you have to take them with a grain of salt. Most often than not, the stories aren't true, no matter how intriguing they are. Remember, believe nothing you hear and only half of what you see. In reality, 9 times out of 10, the stories you read or hear will not be accurate. It is up to you to find the truth. Please do your research before believing things you see in a movie or read in a book. If they aren't citing their sources from actual documents that really exist, then there is something wrong and the information cannot be deemed as credible. Be smart, do your homework, and then once you have all the cards on the table come to your own conclusion. Remember, fact is often better than fiction. For even more in depth research, documentation and interviews backing up Bathsheba's true story, please check out her chapter in my book, "Stories of the Forgotten: Infamous, Famous & Unremembered." Thank you to both Norma Sutcliffe & Kent Spottswood for all your insight and help with making sure my research on the history of Bathsheba and the Arnold Estate was thorough and accurate. Thank you BrianZ190 for photos of Bathsheba's grave and related family members, (findagrave contributor).